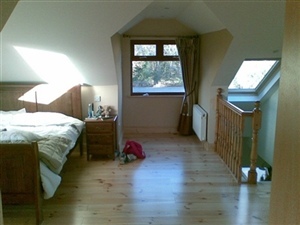 " Kinds room in Semi detached house in Dublin. 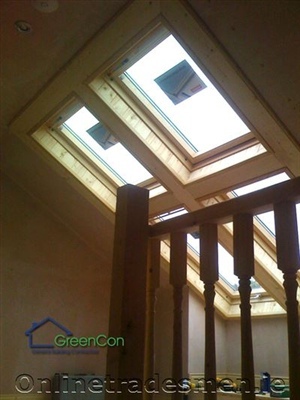 Made the most of the space and the light available with a single velux window "
Contact Tradesman: AD Home Improvements.
" 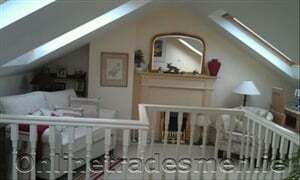 Truss effect attic conversion in Ardee, Meath. 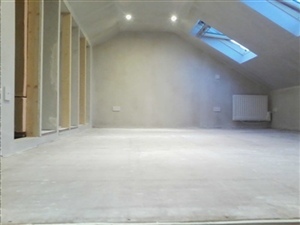 We had to drop stairwell, insulate with Kingspan 4" board and reinforce the floor with steel. Ready for paint job here! " Contact Tradesman: Apex Building Solutions.
" Natural wood effect interior finish with wall mounted radiator. Well specified and insulated. We like the quad effect windows. " 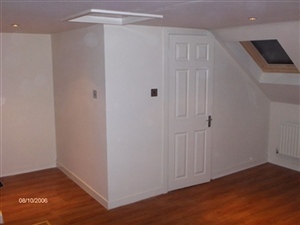 " Attic conversion with En suite. 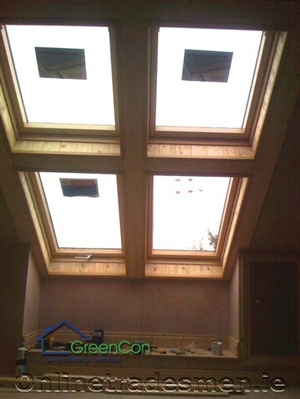 Velux windows. 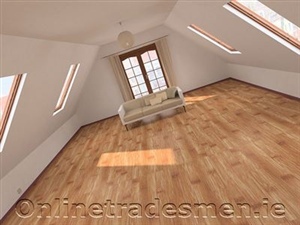 laminated flooring, electrics and plumbing. See my site for the build in progress "
Contact Tradesman: John Paul Building Services.
" 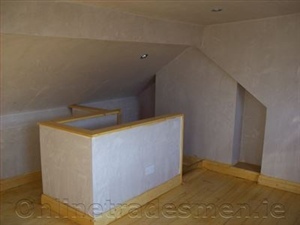 Attic conversion, pine handrail, pine flooring, stair case leading from landing. Came up really as a really nice space! " " Customer wanted a modern conversion with spotlights and walnut floors. There are 2 photos in this view to consider. " 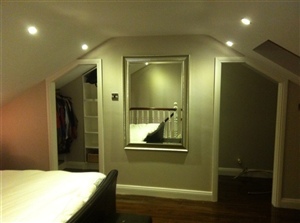 Contact Tradesman: N Nolan Home Improvements.
" 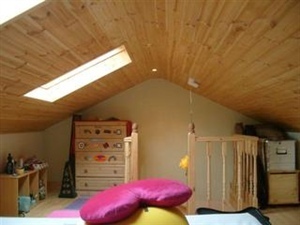 Kids room with twin skylights in Dublin. Pine stairwell and laminate floor finish. Semi detached home in Dublin "
" Truss Roof attic conversion in Ardee. Insulated with 4" Kingspan insulation. Strengthened ridge steel. Ready for painting now! " 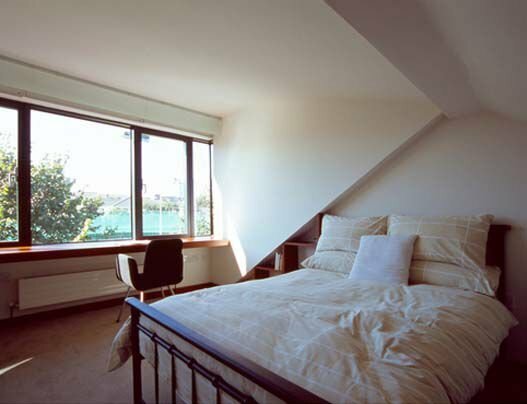 " Kids room in Semi detached house in Dublin. 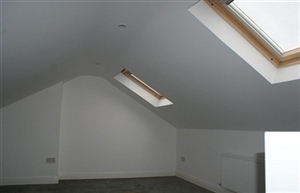 Made the most of the space and the light available with a single velux window "
" Guest room with 2 windows and storage in the recessed areas. Worked well. " 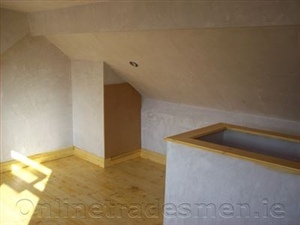 " Attic conversion idea made by an Onlinetradesmen Tradesman. Like what you see? Get a free quote for something similar. " 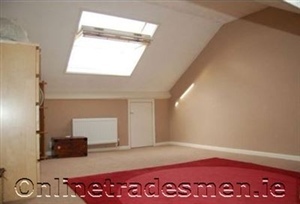 " Open space attic conversion made by an Onlinetradesmen Tradesman. Like what you see? Get a free quote for something similar. " 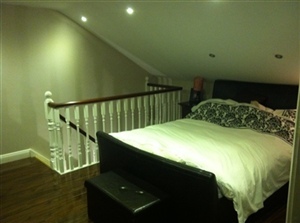 " Work for customer who wanted a bedroom in his new attic.Made by an Onlinetradesmen Tradesman. Like what you see? Get a free quote for something similar. "